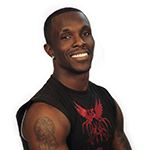 Founder and CEO Ozell Williams was a member of the College Nationals Cheerleading of 2009, he is an Olympic athlete having won 3 Team USA First place rings in preliminary games. Ozell also has won first place at All-Star Worlds, Cheer Sport Dallas, and other series of titles. Ozell is also a cheerleader for the University of Colorado Buffs and you may have seen him at Broncos games, Nuggets and other events in Colorado. Ozell has toured with Jesse White and the Jesse White Tumblers from Chicago, Illinois. He has also worked as a mentor and spokesman for the Secretary of state of Chicago, IL; Jesse White. Our program is going to mirror what Mr. White has been able to establish with his team in Chicago. They Perform more than 1500 events on an annual basis with some of those events being held abroad in Europe or Asia.